January 30, 1884: FDR is born in his family home in Hyde Park, NY. 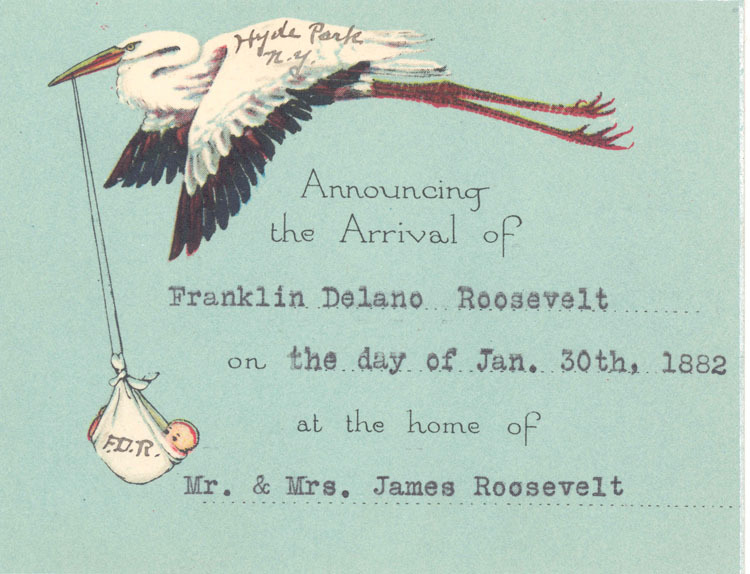 Franklin D. Roosevelt's birth announcement. 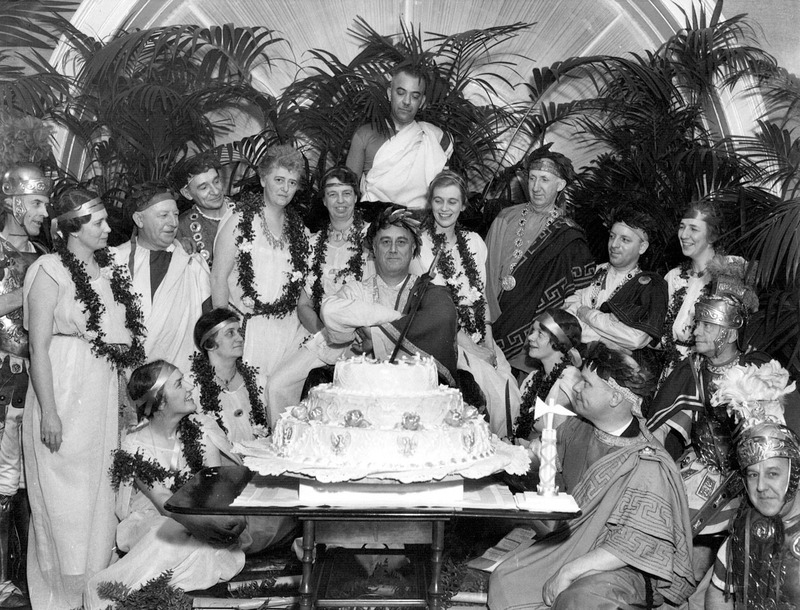 FDR “Toga Party” Birthday Celebration. Pictured: Marvin McIntyre, Grace Tully, Tom Lynch, Marguerite LeHand, Kirke Simpson, Nancy Cook, Malvina Thompson, Eleanor, Irwin McDuffie, FDR, Anna Roosevelt, Charles McCarthy, Margaret Durand, Stanley Prenosil, James Sullivan, Marion Dickerman, Louis Howe, Stephen Early. FDR Library Photo Collection. NPx. 47-96:1756.